Government is planning to carry out a medicinal cannabis pilot programme following the legalisation for the production of the plant in April this year. The legalisation of the production of marijuana was done through Statutory Instrument 62 of 2018 (Dangerous Drugs – Production of Cannabis for Medicinal and Scientific Use Regulations). According to various researches, the medical use of cannabis is believed to reduce pain and suffering in patients who do not respond to the usual treatment procedures. As a result, a medicinal cannabis pilot programme will be established in Zimbabwe soon. The Minister of Health and Child Care, Dr David Parirenyatwa, confirmed the developments. "The purpose of the pilot project on medical cannabis farming is to establish a safe framework for the use of cannabis in the healthcare system," he explained. However, Dr Parirenyatwa could not pre-empt the timeline for the pilot study. "The pilot study will be carried out soon," he added. Legalisation of medicinal cannabis in Zimbabwe makes it the second country in Southern Africa to cultivate the plant after Lesotho, which made the first move last year signaling a wider shift toward more liberal policies. Until recently, it has been illegal to grow, possess or use cannabis in Zimbabwe with offenders facing up to 12 years imprisonment. According to the National Institutes of Health, people have used marijuana plant or its basic extracts to treat symptoms of illness and other conditions since time immemorial. Based on the cumulative scientific evidence thus far, it is clear that marijuana is like a gold mine for biomedical discoveries, with a potential to yield a number of health-promoting products. Dr Parirenyatwa goes on to add that after the pilot study is concluded, guidelines will then be formulated. "As part of the pilot programme, healthcare guidelines will be prepared, including general guidance on the patient groups and possible therapeutic indications," he said. "However, guidelines for marijuana farming will be formulated at the conclusion of the pilot study and we anticipate the guidelines to be available soon." In the interim, Government has, since the legalisation, experienced a stampede from local and foreign companies wishing to venture into cannabis farming. The then acting Permanent Secretary in the Ministry of Health and Child Care, Dr Robert Mudyiradima, said the ministry had received an overwhelming response from companies and individuals expressing their interest in marijuana farming. "My ministry has received quite a number of applications from both local and foreign companies as well as individuals who wish to undertake marijuana farming but its unfortunate I'm not at liberty to name all the companies who have made applications," he explained. "We still have to screen the applications and award licenses and licenses to farm medicinal marijuana can, however, be awarded after the guidelines are in place." Those wishing to grow the drug, however, need to pump out $50 000 to get a license. The five-year renewable licences will allow growers to possess, transport, sell fresh and dried cannabis as well as cannabis oil. Applications should include plans of the growing site, quantity to be produced and sold and the production period. However, the regulations go on to state that a licence could be denied when information has been received from a "peace officer, competent authority or the United Nations" that an applicant was/is involved in the diversion of a controlled substance or precursor to an illicit market or use. A Dutch firm is reported to have courted Government on intentions to set up a factory in Zimbabwe to value-add cannabis for medical purposes. South Africa already has guidelines for medicinal cannabis paving way for licences. Apart from medical uses, the Dagga Party in South Africa won a landmark ruling to permit smoking in the home and in privacy grounds without changing the legal status of the herb. The most common medicinal uses of marijuana are to treat cancers, diabetes, asthma, obesity, nausea and vomiting, chronic pain, liver diseases, glaucoma, stroke, multiple sclerosis, appetite loss, heart disease and psychosis among a wide range of diseases. For medical purposes of cannabis, an extract known as CBD (cannabidiol) is used because this component of marijuana has little, if any, intoxicating properties. Marijuana itself is believed to have more than 100 active components. THC (tetrahydrocannabinol) is the chemical that causes the "high" that goes along with marijuana consumption. CBD-dominant strains have little or no THC. Several other African governments – from Morocco, Ghana, Malawi, Swaziland to South Africa- are considering tapping into the lucrative natural resource too. Malawi government is now cultivating hemp on a trial basis ahead of a potential legalisation. 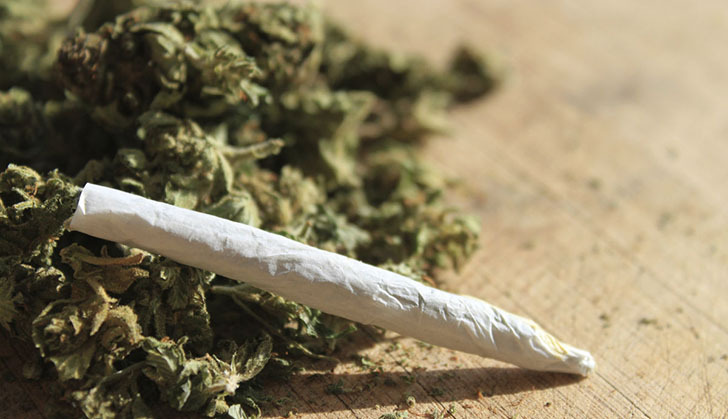 And in Swaziland, the House of Assembly has appointed a committee to explore the possibility of legalisation. According to a United Nations survey, more than 10 000 tonnes of cannabis are produced on the continent each year which advocates believe could be worth billions of dollars in a rapidly expanding global market for legal weed. United States of America (USA), the Netherlands, Italy and the Czech Republic, among other countries, have legalised the production of cannabis for medicinal use.